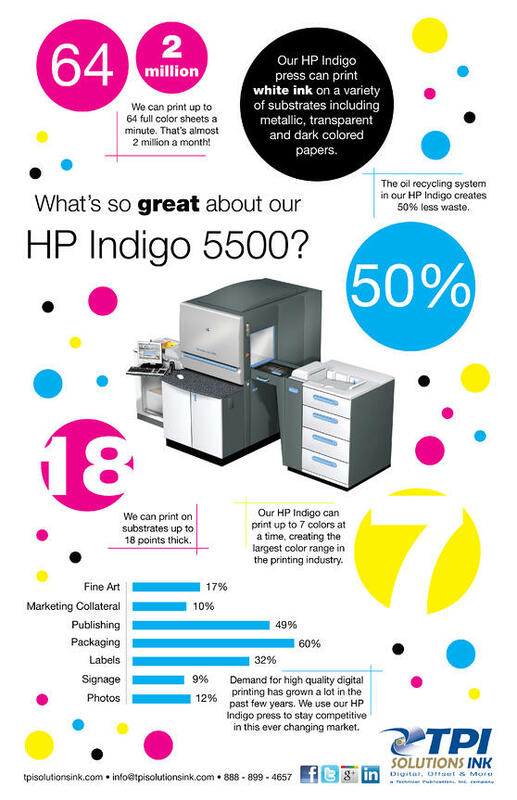 In October 2011 TPI Solutions Ink upgraded our digital press to an HP Indigo 5500. We got all the options, white ink, seven colors and the ability to print on thick substrates. What's so great about that? Well, to find out, take a look at this infographic created by the newest member of our team, Addy Fulmer. We think Addy did a fantastic job on this. What do you think? Carrie is currently the Vice President of TPI Solutions Ink. She is a graduate of RIT with a BS in Printing Management. Carrie has over 30 years experience in the printing industry.